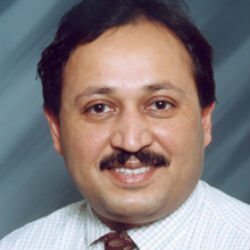 Dr. Majaz Moonis, Professor of Neurology and Director of Stroke Services at UMass Memorial Medical Center has been selected to join the Physician Board at the American Health Council. He will be sharing his knowledge and expertise on Neurology, Psychiatry, Sleep Medicine, Cerebrovascular Disease, and Epilepsy. With over three decades of experience in the field of Neurology, Dr. Moonis offers valuable insight in his role as the Professor of Neurology and Director of Stroke Services at UMass Memorial Medical Center. Considered one of the nation’s most distinguished academic health care systems, UMass Memorial Medical Center offers seamless health care delivery and education. UMass Memorial Medical Center prides itself in proving academic opportunity and scholarship through high-quality, affordable educational programs for future physicians, advanced practice nurses, researchers and educators who will become the next generation of leaders in health care delivery and scientific discovery. As a Professor of Neurology and Director of Stroke Services at UMass Memorial Medical Center, Dr. Moonis’ day-to-day responsibilities include participating in numerous sleep, stroke, and epilepsy studies, clinical rotations and educating medical students, residents, and fellows. In 1989, Dr. Moonis earned his highest medical degree (DM Neurology) from the All-India Institute of Medical Sciences, New Delhi. To further his educational development, he completed several residency programs at All-India Medical College, Maulana Azad Medical College, Safdarjang Hospital, and UMass Memorial Medical Center from 1990-1997. He is American Board Certified in Sleep Medicine, Vascular Neurology, and Neurology by the American Board of Psychiatry and Neurology. He is also certified by the American Board of Sleep Medicine, an independent body. Dr Moonis is a fellow of the American Academy of Neurology, American Heart association and American Academy of Sleep Medicine. He is a member of the Stroke Profession education Council of the American Heart Association and participated in the Stroke and Epilepsy councils of the American Academy of Neurology. Dr. Moonis maintains affiliations with the following organizations: Royal College of Physicians of Ireland, Royal College of Physicians (Edinburgh); American Academy of Neurology, American Heart and Stroke Association; Indian Stroke Association, UMass Memorial Medical Center; Day Kimball Healthcare, Inc., and HealthAlliance Hospitals. He was instrumental in the genesis of the Indian Stroke Association. Dr. Moonis’ desire to pursue the field of Neurology developed after his initial interest in Neuro-anatomy. Looking back, he attributes his success to his research on statins, stroke and dementia and organizational skill developing the stroke center and sleep centers. He is most proud of his articles on statins, stroke outcomes, effect of high dose statins in familial Alzheimer’s disease and effect of stroke prevention by neurologists to reduce the burden of recurrent stroke. His paper Statins Improve Stroke outcomes was one of the first and was presented in national and international press in 2005. It was also televised on many TV channels and Live on the French news channel. One of his earlier papers on Foreign Accent Syndrome received the same wide nation publicity including a Newsweek Quote and was on the golden collection of car talk. Due to his strides in stroke research, Dr. Moonis has been invited by many organizations to speak at national and international meetings. In his free time, he enjoys boating, golfing, and reading. Dr. Moonis is fluent in Hindi and Urdu. Considering the future, Dr. Moonis hopes for continual career growth, educating others and researching to expand the statin effects of Dementia and Multiple Sclerosis. As one of the nation’s most distinguished academic health care systems, UMass Memorial Health Care will provide leadership and innovation in seamless health care delivery and education. Committed to improving the health of the people and advancing medical research and training of the next generation of health care providers, UMass Memorial and the Medical School are partners and leaders in quality, safe patient care, education, innovation research and community service in the Central New England region. The Medical Center succeeds in proving academic opportunity and scholarship through high-quality, affordable educational programs for future physicians, advanced practice nurses, researchers and educators who will become our leaders in health care delivery and breakthrough scientific discovery. Federal and private research grants and contracts at the Medical School rose from about $2 million in 1977 to more than $240 million in 2013 assuring it will remain one of the fastest-growing research institutions in the United States.